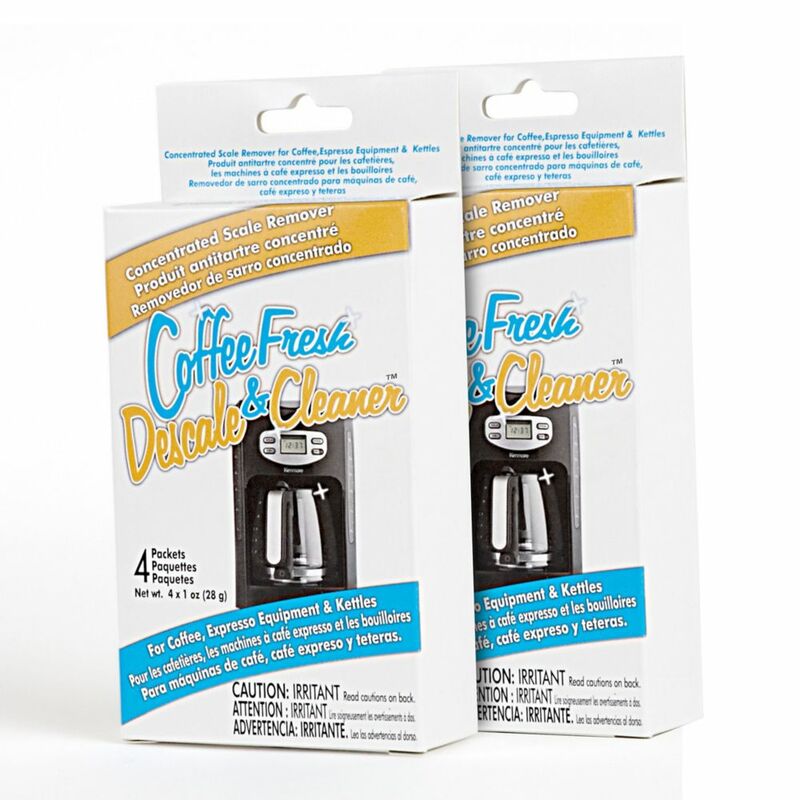 CoffeeFresh Descaler & Cleaner - 2 Pack CoffeFresh Descale & Cleaner is the ideal concentrated descaling solution for both home and industrial appliances. Our concentrated formula uses citric acid, aluminum salts and sulfamic acid to powerfully and safely dissolve lime scale, minerals and oils that are left over from normal everyday use. Each package comes with 4 pre-measured packs that simply dissolve, brew and mix to keep your appliance components clean and your beverages tasting fresh. Use as required to keep your appliances functioning optimally. Try our 2 Pack (2 Packages with 4 packets in each package). CoffeeFresh Descaler & Cleaner - 2 Pack is rated 5.0 out of 5 by 1. Rated 5 out of 5 by Connie from Cheaper alternative I tried this to replace expensive descaler supplied by my expresso machine manufacturer and it seems to work fine.